I ventured out of my home on an otherwise grey Thursday, and after loosing some time at the Tube station figuring out my way, found myself at the mighty Mussel Men, who are known for the freshest seafood in London and were the hosts for the event. Invited in warmly by Kate from Liquor to Lips, the organizers, the crew eager to start, set sail from London to Scotland, on a voyage of discovery of Scottish Drinks. Our first stop was Guardbridge, St Andrews Scotland and captain Scott Mackenzie of Eden.Mill took us through the the spirit and history of St Andrews as we tasted Eden Mill's 5 delicious gins: 'Seabuckthorn', 'Oak', 'Hop', 'Golf' and 'Love' Gin. Each Gin had a unique flavour, owing to the key botanicals, all locally sourced (mostly from St. Andrews Botanic Gardens), which go into the gin making. It was fun to explore the various botanicals that go into the gin. 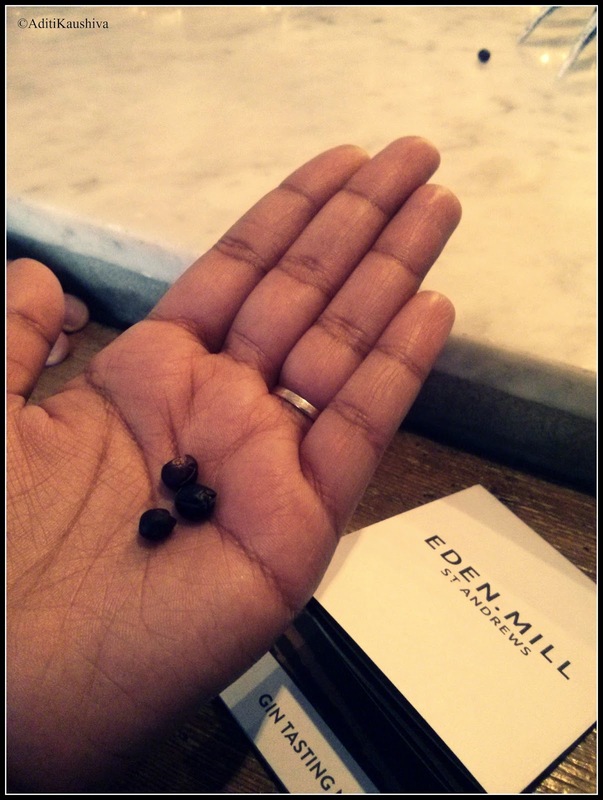 Apart from Juniper, which is the key ingredient, Eden Mill's gins get their unique flavours from the different botanicals that go in. Oak Gin, which was one of my favourites, uses Juniper berries, angelica, coriander and aged on oak chips. It had a rich finish, tasted quite similar to whisky and had notes of caramel and vanilla as one took a sniff. It tasted particularly well with ginger ale. 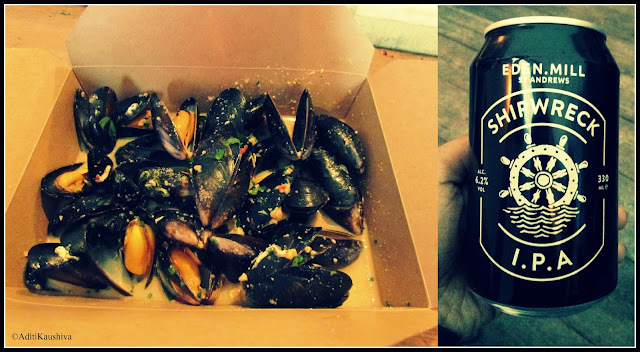 We took a delicious break from drinking, as Mussel Men brought out a box of yumminess. Mussels cooked in Eden Mill's Shipwreck IPA chilli & satay sauce. Bloody brilliant! Eden Mill do a lot of seasonal gins too. We were lucky to taste the Golf gin, which influenced by the ancient methods used by makers of golf clubs, contains hickory wood. Talk about creative experimentation! After the fantastic tasting event, we got talking to Scott and our eyes popped out as we learnt that one could be an Eden Mill malt whisky private cask owner! Imagine being the owner of your own 50L cask (approximately 80 bottles of 70cl size) with a personalized label (could be your name)on your whisky after maturation. Exciting isn't it! The setting for the evening was cosy, outside on the decks of Mussel Men. And with an intimate and inquisitive group at hand, Victor of LiquortoLips took us through the best of the Scotland's spirits, including tasters of Ogilvy Vodka, Rock Rose Gin, Eden Mill Gin, Wemyss Malts, Bowmore and The Last Great Malts of Scotland. Two spirits stood out for me the most, apart from Eden Mill's Oak of course. Ogilvy's premium potato vodka, which surprisingly was so smooth that we could have it neat, and Bowmore's single malt scotch, which Victor, breaking all scotch-drinking rules and myths, paired up with chocolate tonic resulting in a delicious mix. I left the place feeling flushed and beaming, grateful to Kate for inviting me to be a part of #ScottishInvasion and happy to have met such passionate people. 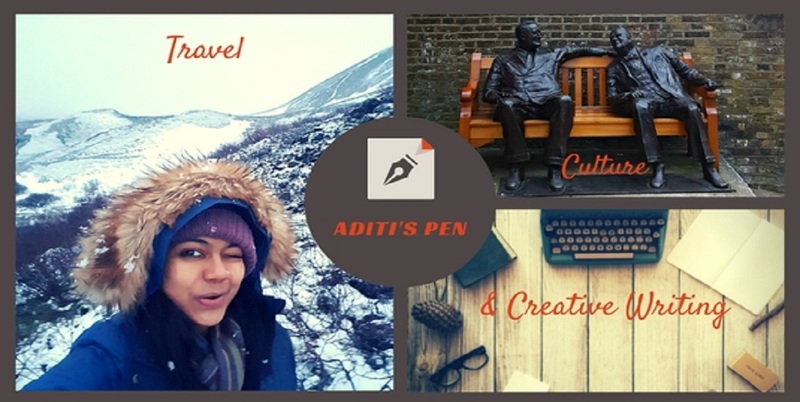 What a lovely read, Aditi! :) Quite a fascinating tour! Thanks for sharing your experience. 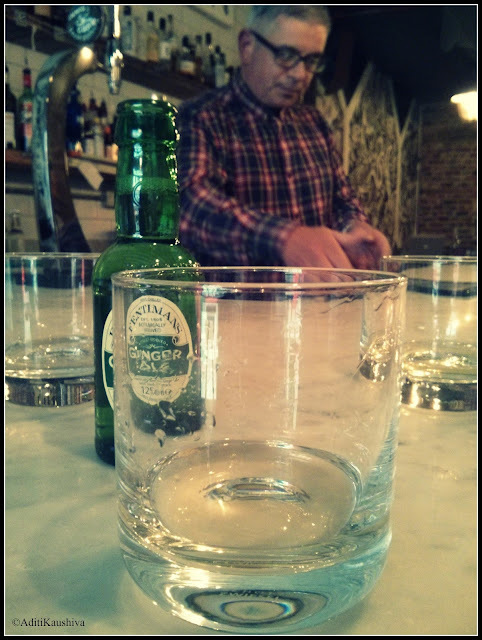 I am a teetotaller, but have had my fair share of "tasting" :) I especially loved your photos! Thanks Vidya! :) It indeed was a lovely tour. Wow...!! I want to attend this kinda event once in a lifetime..!! The varieties fascinate me... A lot! And photos have come out amazing! This is such nice review . You almost take all of us along in the journey .